This will be my shortest post ever. 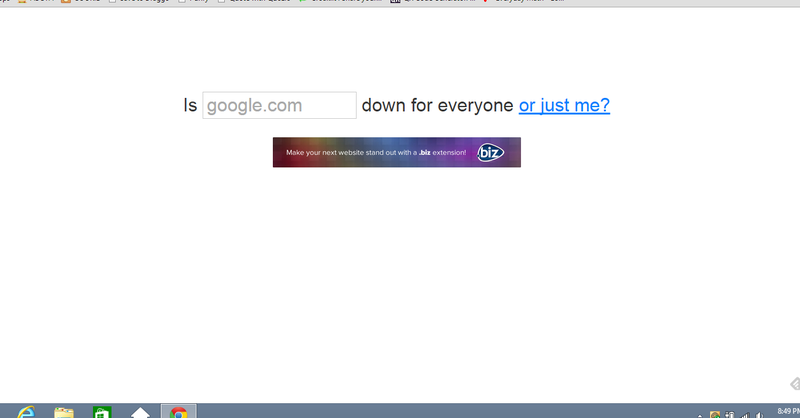 The site is literally called: Is It Down For Everyone Or Just Me? If you’re having trouble with a website, you honestly just paste the URL into the blank on Is It Down For Everyone Or Just Me lets you know if the whole site is down or if the problem is only happening on your end. This is a screenshot of the whole site. That’s it. Might sound stupid or simple, but there are about a gazillion times I could have used this in school. Still can use it. Will use it. How about you?